Pointing out to the previous continuous reluctance to hold elections even when they were due, Rajapaksa recalled that in November 2017, there was the danger of the local government elections being postponed indefinitely because certain individuals had petitioned the Court of Appeal against the holding of the local government elections citing delimitation issues. “However when the Chairman of the Elections Commission declared that he will proceed to hold elections at least in respect of the local government institutions that were not subject to litigation, the then government reluctantly fell in line and agreed to hold elections. With that the petitioners who had gone before the Court of Appeal quietly withdrew their petitions. It was quite clear in that instance, that the court procedure was being misused for a political purpose,” Rajapaksa asserted. “The previous government put off Provincial Council elections indefinitely by deliberately refraining from fulfilling the conditions relating to the delimitation of constituencies in Act No. 17 of 2017 which was rushed through Parliament last year just days before the Sabaragamuwa, North Central and Eastern Provincial Councils were to stand dissolved,” he recalled. “I am placing on record this explanation because the UNP and its affiliated political parties have been making misleading statements from the political platform with a view to deceiving the general public,” he said. 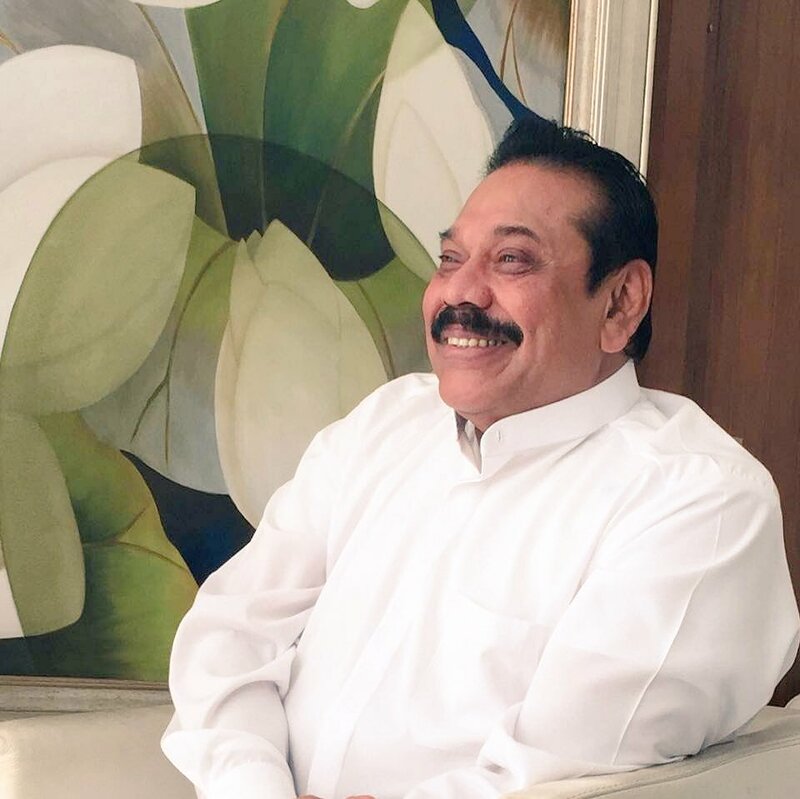 On the controversy around dissolving parliament and calling for fresh elections, Rajapaksa drew attention to the fact that from the time of Lanka’s first Parliament, elections were called early whenever necessary to overcome situations of political turbulence. In 1952, when the then Prime Minister D.S. Senanayake died, a division emerged within the UNP regarding succession. Even though the effective number two in the party was Sir John Kotelawala, the then Governor General Lord Soulbury, invited Dudley Senanayake to be the Prime Minister. Within days of swearing in as Prime Minister, Dudley Senanayake summoned a general election and obtained a fresh people’s mandate to contain the divisions within the ruling party. In 1959, after the assassination of S.W.R.D. Bandaranaike, W. Dahanayake became Prime Minister. When rifts emerged within his Cabinet, he too called a general election. The Governor General’s power to dissolve Parliament was provided for in Article 15 of the 1948 Constitution. Even though Parliamentary conventions, like dissolving parliament when the statement of government policy is rejected or when a government loses the budget were not expressly stated in the 1948 Constitution, those conventions applied in Sri Lanka because Lanka closely followed the British system of Parliamentary government at that time. Provisions relating to the President’s power to dissolve Parliament in Lanka’s first Republican Constitution of 1972 were found in Article 21. The convention of dissolving Parliament if the statement of government policy was rejected, or a budget was defeated found mention in Article 99 of that Constitution. With regard to the second Republican Constitution of 1978, the President’s power to dissolve Parliament and the convention of dissolving Parliament in the event of a rejection of the statement of government policy or the budget, found mention in Article 70(1). “All the provisions relating to the dissolution of Parliament in the 1978 Constitution, were found in the old article 70(1) before the 19th Amendment. If those provisions have been abolished, then there are no provisions in the present Constitution to dissolve Parliament in the event of a government losing a vote of no confidence, the vote on the budget or the statement of government policy. Such restrictions are completely contrary to the Parliamentary tradition,” Rajapaksa said. Rajapaksa recalled that it was clearly stated in the Supreme Court determination on the 19th Amendment, that the power that the sovereign people have vested in the President cannot be removed without a two thirds majority in Parliament and a referendum. “Even though it is claimed that the President’s power to dissolve parliament that had been provided for in the old Article 70(1) have been removed, what has actually happened is that those provisions have been taken to another part of the Constitution.,“ Rajapaksa contended. “The new provision that has been introduced to the Constitution in the form of article 33(2)(c) has not been made subject to Article 70(1) as amended by the 19th Amendment either,” the Prime Minster said. “Legal experts are of the opinion that the reason why the President’s powers to dissolve parliament which were provided for in the old Article 70(1) have been reintroduced to the Constitution in the form of Article 33(2)(c) is because the President’s power in that regard cannot be taken away except through a referendum. “How can it be said that the President does not have the power to dissolve Parliament when Article 33(2)(c) was specifically introduced to the Constitution by the 19th Amendment?” Rajapaksa asked. He pointed out that it took ‘only 56 votes in Parliament to pass into law Act No. 5 of 2018 which put in place a legal framework to hand over our war heroes to foreign courts. How then can one argue that you need 150 votes in Parliament to be able to pave the way for the sovereign people to exercise their franchise? he wondered. Rajapaksa said that he was recently given a copy of a report published by an inter-governmental organization called the ‘International Institute for Democracy and Electoral Assistance’. The member states of this organization include Germany, Australia, Canada, Switzerland and also India and Japan. Rajapaksa said that even if a government is defeated in the Norwegian parliament, it has to continue in office until a new government is appointed by the King. When the King in Council presents the annual budget to Parliament, it will be debated but there is no tradition of defeating budgets in that country. Most of the time, Norway has had minority governments that do not have a majority in Parliament. That is the situation at this moment as well. It should be clear that what works in Norway will not work in Sri Lanka. The manner in which the French Constitution evolved is also relevant to this discussion. The Constitution that France had before 1940 had made it virtually impossible to dissolve Parliament. This led to chronically unstable governments being formed in France during those years. In 1940, Hitler invaded France. After being liberated from the German occupation, France promulgated a new Constitution in 1946 which relaxed the provisions relating to the dissolution of Parliament and allowed the calling of fresh elections in the event where two no confidence motions are passed against a government within a period of 18 months.d However, because even that did not suffice to ensure stable governments, the present Constitution of France which was adopted in 1958 has given the President the power to dissolve Parliament at his discretion. “The only way to restore stability to a destabilized democracy will be through a general election. According to our Constitution, sovereignty is vested in the people and not in Parliament. The manner in which the people exercise their sovereignty is through the franchise. I invite all those who respect democracy to give careful thought to these matters,” Rajapaksa said.